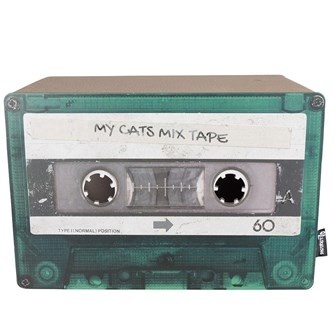 A green cat scratcher made from recycled corrugated cardboard, in a retro design like a cassette tape. 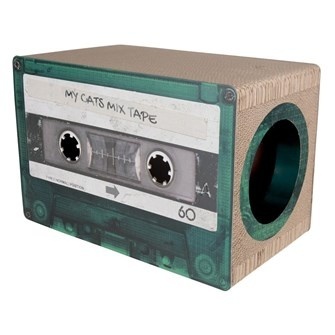 A green scratch furniture, in a retro design of a cassette tape. 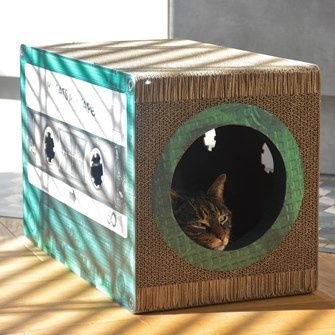 It is made of corrugated cardboard, which cats love. 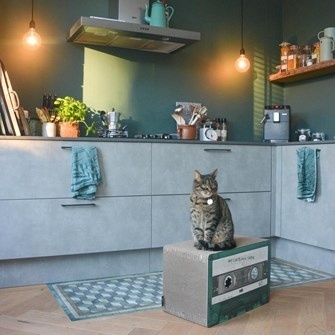 The special design makes the scratcher a real eye-catcher in any interior. The cat can also lie comfortably in it because on the side you will find a round opening with a diameter of 18.5 cm. 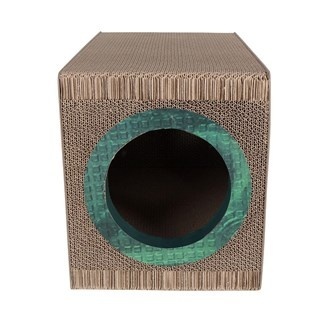 If you have a cat at home, then a cat scratcher is necessary. 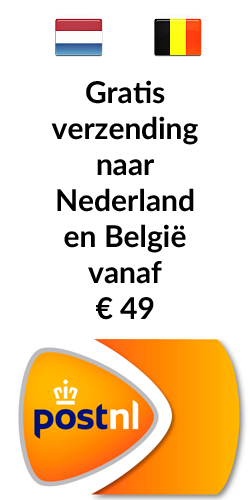 After all, every cat sharpens the nails, and scratching furniture will protect your furniture and interior. 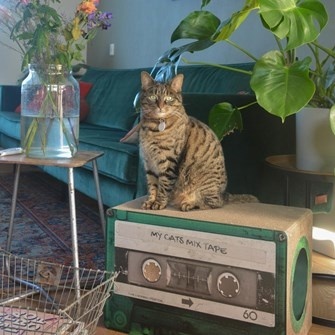 The Mixtape is made of high-quality and durable corrugated cardboard and ensures that the cat can scratch and play endlessly. 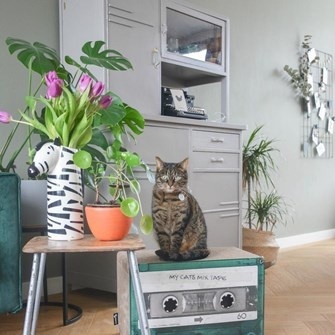 This scratching furniture is reversible so that the service life is extended.